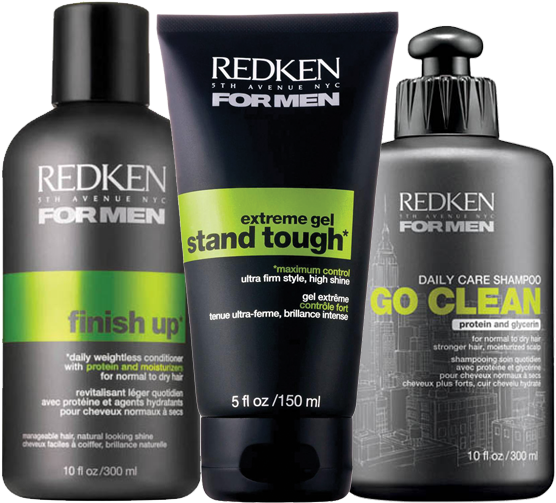 Did you know that Redken offers a complete line of grooming and styling products for men? The protein and carbs in Redken for Men combine to provide strength and energy, creating a high performance solution specifically suited to a man's hair. Studio 718 offers these products, as well as cut, color and styling services for men. We exclusively offer Redken's Color Camo, a 10 minute camouflage color, for the man with gray who has never experienced color before and may be reluctant to try. Our stylists are experts at helping men find the right tools. Ask for help at your next appointment and walk away with superior ingredients for success. Applied at the shampoo bowl, Redken Color Camo is a quick, discreet service, providing natural looking results to build a man’s confidence. We would love to hear from you. Call or fill out the form and we'll talk to you soon. Copyright 2017 Studio 718 - All rights reserved.